A U.S. 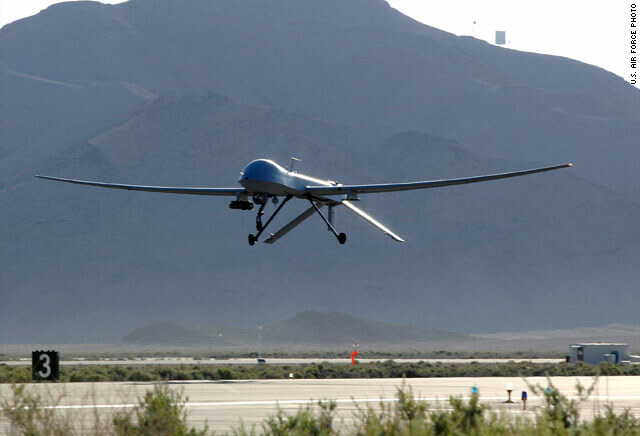 Predator drone is shown at Bagram Air Base in Afghanistan in November. Islamabad, Pakistan (CNN) -- Several suspected U.S. drone strikes killed at least 29 people in Pakistan on Tuesday, Pakistani intelligence sources said. U.S. drone strikes tend to kill fewer than 10 people, though one last year reportedly killed 60, said Katherine Tiedemann, a policy analyst at the New America Foundation, a public policy institute in Washington. A death toll of 29 would represent the highest single-day death toll this year from a drone strike or strikes in Pakistan, she said. 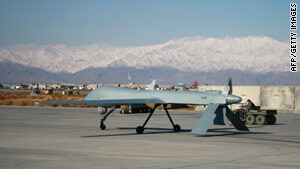 A suspected drone strike in mid-January wounded Hakimullah Mehsud, the leader of the Taliban in Pakistan, intelligence officials have said. On Sunday, the Pakistani military said it was looking into a report that Mehsud had died from his injuries -- a report that the Taliban denied. Journalists Amin Khan and Nasir Dawar contributed to this report.